Climate change, rapid population growth and urbanization are causing water shortage and pollution, especially in arid and semi-arid regions of the world due to the growing demand in different sectors and disposal of inadequately treated wastewater to water bodies. 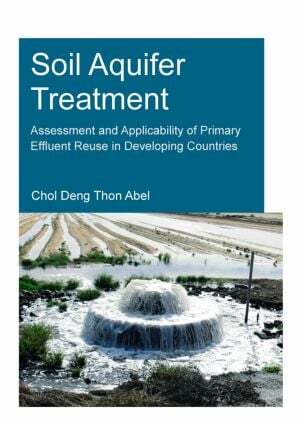 To tackle these challenges, further treatment and reuse of wastewater effluent using soil aquifer treatment (SAT) is an attractive cost-effective and environmentally friendly option that is employed with no intensive use of electricity and chemicals. This study highlights the prospects of using SAT for treatment and reuse of primary effluent (PE), especially in developing countries where wastewater is not treated to secondary and tertiary effluent levels due to lack of investment and operation costs to run sizable wastewater treatment plants (WWTPs). Coupled with experimental studies that show SAT efficiency to remove suspended solids, bulk organic matter, nutrients and pathogens indicators from PE, the thesis provides step-by-step tools that could be used for development of new SAT scheme. Furthermore, the study provides a water quality prediction model that estimates the potential contaminants removal which could be used to assess the need for reclaimed water post-treatment. This thesis is envisaged to contribute to the current knowledge on the necessity of water reuse. Chol Deng Thon Abel (Malakal, South Sudan, 1976) graduated from the University of Khartoum, Sudan in 2002 and holds a Bachelor of Science (B.Sc.) degree in Civil Engineering. From September 2002 to September 2005, Chol worked as Civil Engineer at Irrigation Works Corporation after which he joined Lahmeyer International – consulting Engineers (Germany) as Soil Laboratory Engineer during the construction of Merowe dam (1250 MW) from October 2005 to March 2007. In April 2007 to February 2010, Chol assumed the position of Assistant Coordinator for Southern Sudan hydropower projects as part of Dams Implementation Unit (DIU) of the presidency of Sudan. In October 2007, Chol was awarded a scholarship from the Joint Japan/World Bank Graduate Scholarship Programme (jj/wbgsp) to study at UNESCO-IHE where he obtained a Master of Science (M.Sc.) in Municipal Water and Infrastructure (specialization in Water Supply Engineering). In March 2010, he started his Ph.D. study entitled: "Soil Aquifer Treatment: Assessment and Applicability of Primary Effluent Reuse in Developing Countries" at UNESCO-IHE and Delft University of Technology under the financial support of UNESCO-IHE Partnership Research Fund (UPaRF) through NATSYS project.